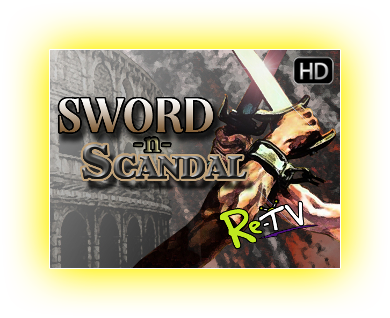 Re-TV proudly presents the Sword-n-Scandal Channel - a place where one can encounter gladiators, pirates, knights and more. Heroes larger than life jump into action from the arena to the battlefield while treacherous and conniving villains try to stop them. From the high seas and back to the wooded dale, swordplay has been at its finest throughout the ages. These movie and television characters place us in times forgotten, or only once imagined. Go back with us and see them together for the first time on Re-TV. Find us on Roku and add the Sword-n-Scandal channel to begin watching now.